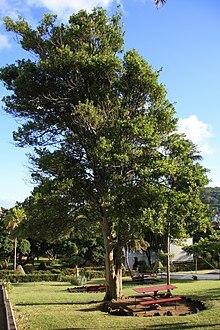 Type species: Laurus nobilis L.
Note: The genus is probably monotypic and L. nobilis is genetically highly variable (Aboel-Atta, 2009). Secondary sources also contain many unresolved species and due to historical reasons Laurus combinations are commonly found as basionyms. Aboel-Atta, A-M. I. 2009. On the Taxonomy of Laurus L. (Lauraceae), Evidence from Isozymes, RAPD and ISSR. Academic Journal of Plant Sciences 2(2): 82–91. Full text (PDF). International Plant Names Index. 2016. Laurus. Published online. Accessed October 5 2016. The Plant List 2013. Laurus in The Plant List Version 1.1. Published on the internet. Accessed: 2016 October 5. Tropicos.org 2016. Laurus . Missouri Botanical Garden. Published on the internet. Accessed: 2016 October 5. For more multimedia, look at Laurus on Wikimedia Commons.